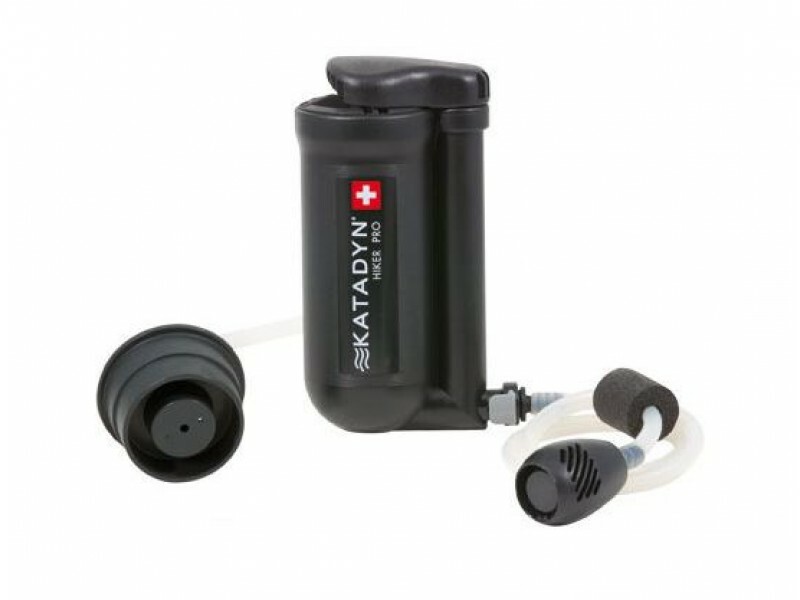 The field-maintainable Katadyn Hiker PRO water filter is easy to use and includes handy features such as quick-connect fittings to make filtering water a cinch. 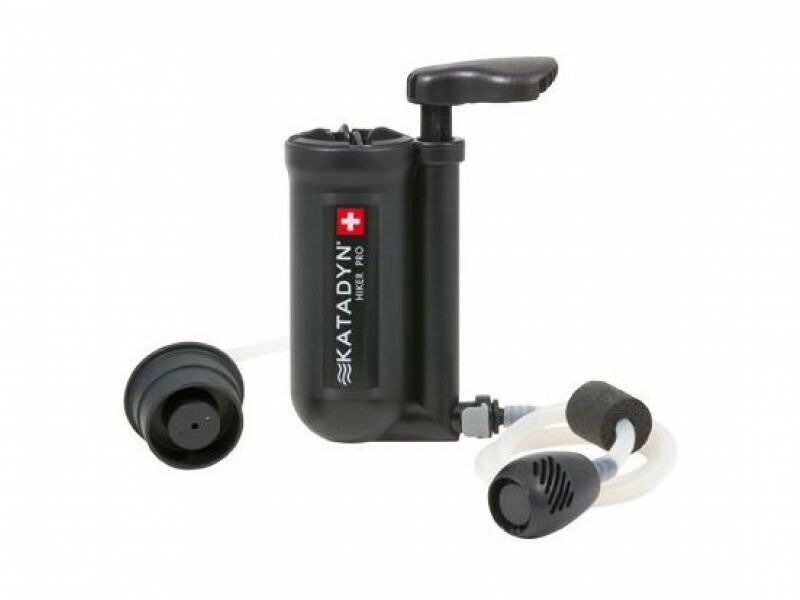 The Katadyn Hiker Pro is small, weighs 11 oz, and thanks to its large filter area has an outstanding pumping capacity. It reliably eliminates bacteria, cysts, and sediments from water. On trips, its cleanable filter protection feature allows you to easily maintain your filter. 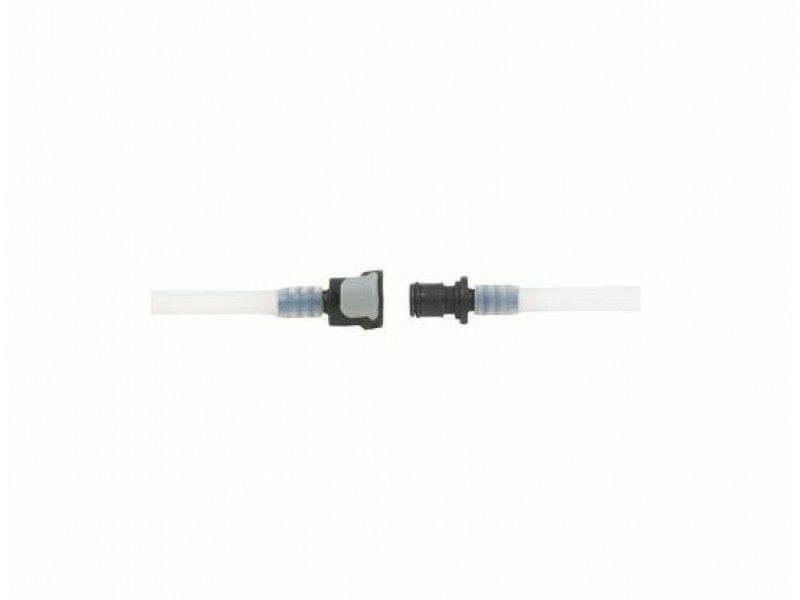 The filter protector also perceptibly extends the service life of the 0.3 micron glass fiber filter element. 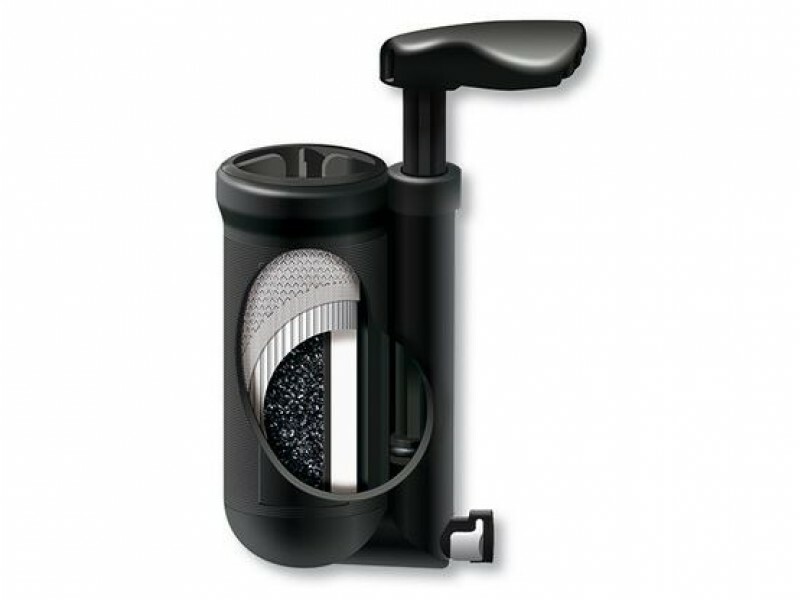 Its activated carbon filling improves the taste of the water and eliminates odors. 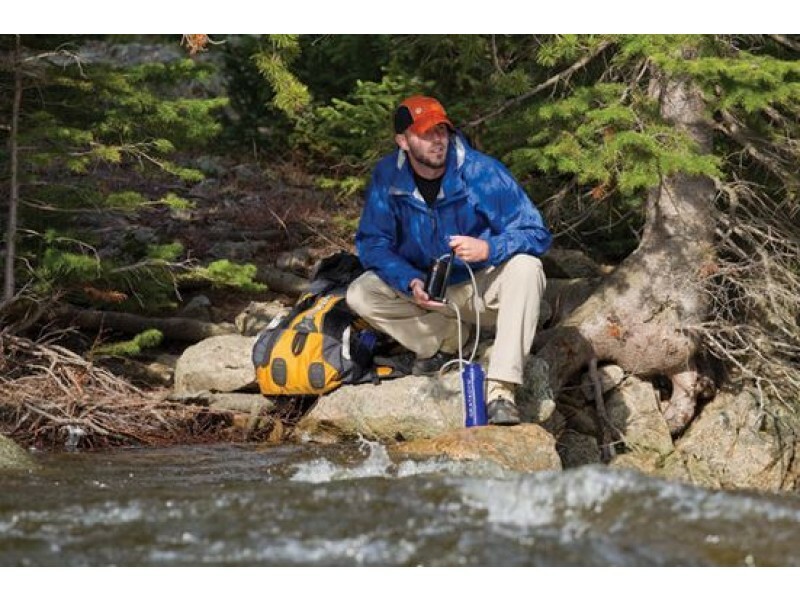 With the easy fastening and removing the intake anyone can enjoy fresh filtered water.